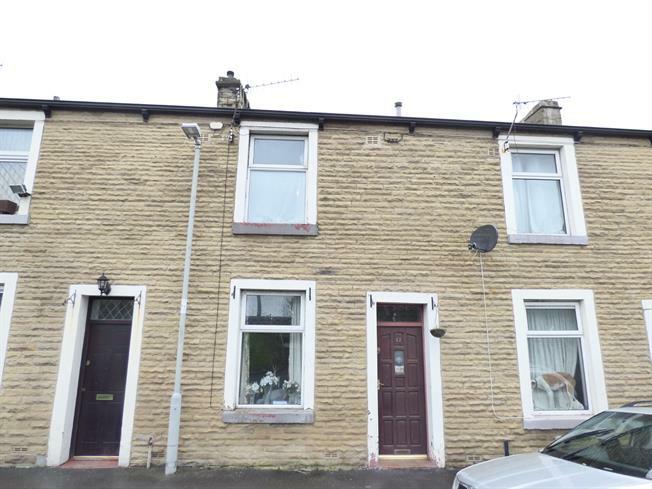 2 Bedroom Terraced House For Sale in Burnley for Offers Over £30,000. An opportunity not to be missed, this stone built mid terrace located on a delightful quiet tucked away no traffic street offers a great opportunity for any investor or first time buyer looking to create a lovely home. Comprising entrance lobby, lounge and kitchen on the ground floor, two double bedrooms and bathroom on the first floor. There is a rear enclosed yard area and double glazed windows. Entrance is gained at the front of the property into the lobby providing access into the lounge. Double glazed uPVC window facing the front offering an open aspect. Gas fire, wall lights and ceiling light. Access into the kitchen. Double glazed uPVC window facing the rear overlooking the yard. Ceiling light. Roll edge work surface, fitted wall and base units, stainless steel sink with drainer, space for gas oven, space for washing machine. Door leading out to the yard, under stairs storage and stairs leading to the first floor. Double glazed uPVC window facing the front with open aspect views. Gas heater and ceiling light. Double glazed uPVC window facing the rear. Built-in storage cupboard, ceiling light. Built-in storage cupboard housing the boiler, ceiling light. Low level WC, panelled bath with electric shower over, pedestal sink, extractor fan. To the rear is an enclosed yard area with gated access and outside WC.